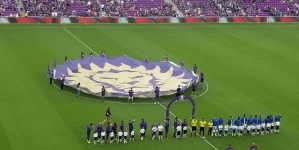 The Orlando City Lions came up short against D.C. United in 1-2 loss in their home stadium Sunday night; the Lions remain winless at home. 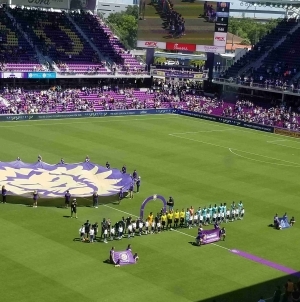 Orlando City began showing a 3-4-1-2 formation, with Dom Dwyer and Nani at the top together. D.C. pressed the Lions immediately from the first kick. The Lions gave D.C. a free kick opportunity in the 6th minute, which was taken by United striker Wayne Rooney, who put the ball in just the right place for his teammate, center back Steve Birnbaum, to put it in the back of the net to give D.C. an early lead. In the 30th minute, D.C. was given another controversial free kick after Dwyer’s attempt to tackle Rooney, despite not having touched the Englishman, was called for a foul. With that chance, Rooney took the free kick and scored a highlight-reel goal to put his side ahead by two. The Lions came out to try to win the second half with an aggressive attack and more bodies up the field. 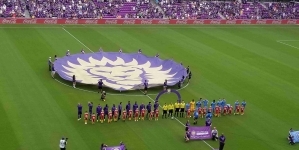 In the 59th minute, Orlando’s Forward Chris Mueller was subbed in and you could see the instant impact it had to the team. Their offense seemed much better and more fluid than before. And then, in the 63rd minute,Muller got a pass from Nani and took it all the way at the end of the line of the right side of the goal, then sent a perfect cross to Dwyer, who’s header put Orlando back into the game at 1-2. Dwyer is the first to score on United all-season. However, despite numerous chances for the next 30 minutes, the Lions were unable to equalize. 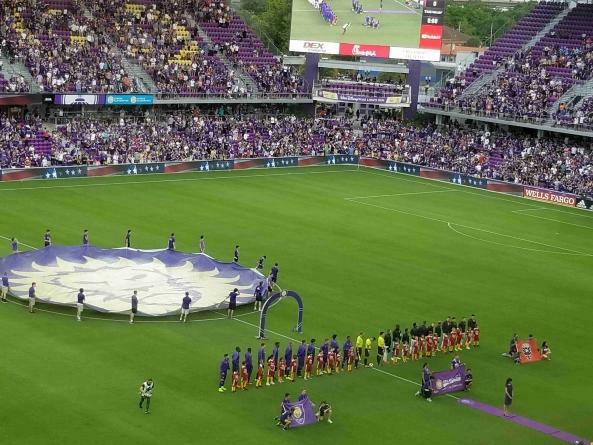 When the final whistle blew, Orlando had lost their second straight home game of the season. Despite the loss, the Lions proved that they could hang with the best of the Eastern Conference. International transfer Nani is also showing his worth, with 3 assists on the year. “I think Nani was great all game. Chris brought a tremendous amount of energy when he came on the field. He’s grown every single game. It was a fantastic ball in from him and I’ve just got to put it away and it was pretty simple,” said Dwyer after the match. 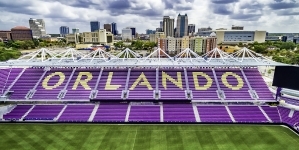 Orlando City sits at 7th place in the East. The Lions will have another home game this week on Saturday against Colorado at 7:30 PM.